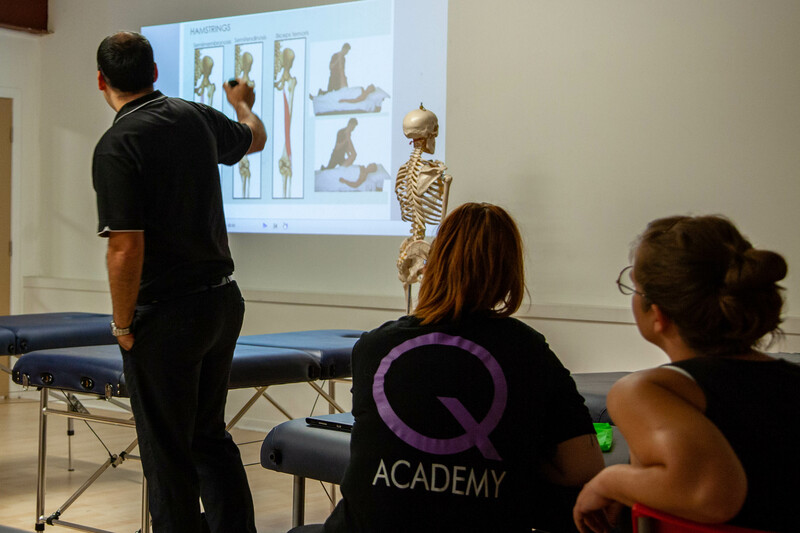 Did you know that 10% of all Remedial Therapy graduates in Australia in 2018, studied at Q Academy? Massage therapist jobs are expected to experience very strong growth over the next five years, with an overall growth rate of 20.2% over 2018-2023 to 23,900 workers. Similarly, complementary health therapist jobs are forecasted to experience a robust growth rate of 10.2% over the next five years to 8,000 workers. This is exciting news for us, as massage therapists are becoming more and more in demand, and we look forward to filling that demand. Unfortunately, factors like inconsistent training at some educational institutions means that there are varied levels of skills and abilities within the massage therapy industry. This can lead to unsafe practices, while the scarcity of experienced teaching staff at training institutions often forces these institutions to hire newly graduated practitioners for teaching positions. Proper training, therefore, goes a long way in providing good quality services, plus the likelihood of receiving enticing job opportunities for which you are properly equipped is increased. At Q Academy, we like to leverage our qualified teachers and their real-world experiences to really build confidence. Remedial massage is currently on the skills shortage list, which means that there are visa and migration opportunities in Australia for people with the qualification. There have recently been a number of changes to the conditions around private healthcare rebates this year. Many complementary health services will no longer for healthcare rebates. Remedial massage, however, will not be affected by these legislative changes, and will remain eligible for rebates. As many complementary therapies are removed from private healthcare cover, there is likely to be a greater demand for remedial massage therapists. Obtaining the qualification is just the first step towards becoming a professional massage therapist. Once you have graduated, you can obtain insurance and join an association. You can then apply for your private provider number if you choose to do so. You will then be an allied health professional, which means that you will be eligible for memberships with leading associations, which is necessary to allow you to apply for private healthcare provider numbers. Our diploma in remedial massage is a nationally accredited qualification, which means that when you qualify, you will be eligible to apply for membership with leading massage associations like ANTA, MMA and AMT. Industry membership is a requirement in order to apply for private healthcare provider numbers so that you can offer your clients the chance to apply for rebates. Your association can also offer you valuable support and guidance as a therapist, keep you up-to-date with any industry changes and regulations, help you with employment advice and some legal advice, and offer discounts on professional insurance. Are you considering a career in remedial massage? If you would like to find out more about our courses, please don’t hesitate to get in touch.